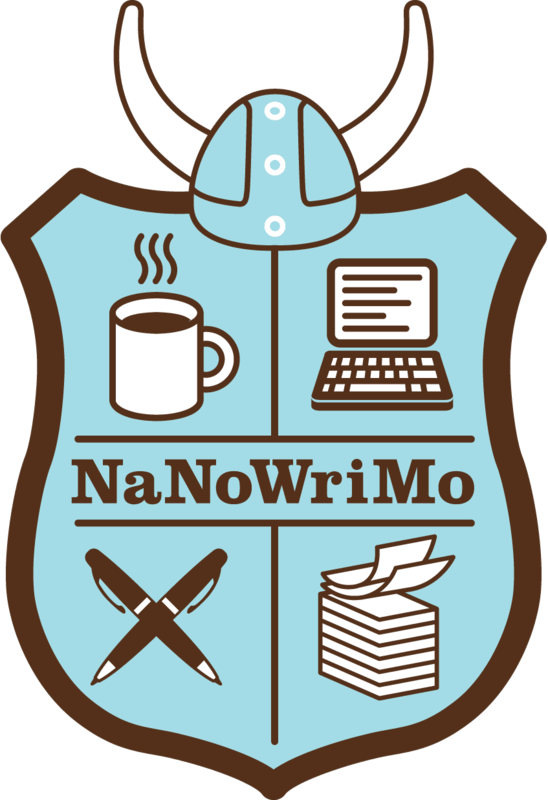 It's November and we're halfway through NaNoWriMo (National Novel Writing Month). Half the writers I know go scarce every November and are hunched over their keyboards pounding out roughly 1,667 words each day to get to 50,000 by November 30. To the uninitiated, this might sound like mission impossible, but to those who relish a challenge, NaNo is the opportunity to unleash your muse, forget about editing and write your story down in its raw form. If you're still at it, here are some tips to keep you moving toward that goal of 50,000 words or whatever goal you've set yourself this month. 1. If you don't outline but need ideas, try to work out plot lines in your mind each day. Forget the nitty-gritty details and focus on the highpoints for the next chapter. It will prevent the agony of having your mind running in circles when you should be writing. 2. Stay connected to your cheering squad — whether it is a group of people also doing NaNo, or friends who will encourage you to pick up the pace when you stall. Just knowing there’s someone slogging along and/or cheering will help you stick it out. 3. Pace yourself – at 1667 words per day, you’ll hit the 50k mark on November 30. Write more each day if you can. You don’t want to be caught flat-footed if you have an emergency and your writing time is cut in half. Some people do word sprints — they are fun and keep you motivated. 4. Stock up on food that energizes you — and will keep you going when you’re tempted to doze on the keyboard. You will have some late nights while you try to catch up on, or surpass your daily targets, but don’t ingest anything that will keep you awake for days, give you palpitations, or make you hyperactive. You need to rest to write your best. 5. Never forget it’s all in good fun. If you start feeling tense and stressed, remind yourself there’s no prize other than personal satisfaction and the tag that tells the world you ‘won’ NaNo. Personal satisfaction should be the goal. And even if you don't make 50,000 words, it's still probably more than you would've written without NaNo, so that's still a win. I try to get ahead in my word count as soon as possible - and stay there! - because it really helps me feel like I have breathing room on those days when I'm feeling stuck or can only manage a few hundred words. I've never participated but a cheering squad is very important. Christine, that is key to keeping that flow going. Either way you take it, it's a win as you said, Alex. Great plan, Madeline. I like having that cushion too. They certainly keep you going, Diane. Thanks, Hilary. Being an encourager is a great! We need the support. I'm cheering on a my friends who are doing this and am quite glad I'm not. Good ideas to keep the words flowing. Every year I say I just may do NaNo. Man, I'm not disciplined! Joylene and Diane, we should try it some time...maybe next year...? Yeah, sure. Haha, course I feel save saying that now, since NaNo has already begun and I can't possible join. "Never forget it's all in good fun." I'm amazed that people do this. My earliest manuscripts were done in about 5 or 6 weeks. I am a different kind of writer now, so I don't think I could do it. My writer friend Robyn wrote her 50k in about 11 days and is now on her second NaNo. I'm in awe! You write as if you've already aced Nano. I hope you do it next year. It's a win/win no matter what. I'm a big fan of getting ahead early. Hi JL! Maybe next year! But I do admire everyone who is tackling NaNo. I was in Barnes & Noble yesterday reading about it all in Writer's Digest. thanks for the tips. I think they apply anytime! Have a good one! Susan, yep, NaNo can be stressful if you let it. Joylene, it's fun challening myself to write each day and it is helping me to finish something I should have completed a long time ago. Michelle, start preparing yourself at least a couple of months out. It's not as stressful when you have a plan. Ella, it's soooo important not to take it too seriously. Then, it's no fun. Me too, Theresa. I dunno if it's age or a slower brain or what, but I can't seem to write more than 3,000 words in a day even if I have the entire day free to do it. Hope it's going well, Jemi. I'm loving it too.Haven't won in ages, but I do get off to a great start with a new project. SF, planning and action work well for NaNo and any other writing projects we take on. FB, thanks for weighing in. Glad the tips help!